This Crimea conflict is seemingly out of control. While the invasion was a shock to everyone, I don’t know why- Crimea was formerly a part of Russia, Putin has shown very little regard for the West’s authority in previous engagements, and the EU has no backbone for sanctions or war. Seems like a perfect recipe for a quasi-invasion. This situation is fascinating. Putin’s decision process always amazes me; he’s portrayed as part genius part lunatic. It’s hard to know whether he’s the chessmaster or whether he’s in over his head. We’ll be talking more about the neuro behind decision making in the future, including unique neuroeconomics perspective on war! This topic has rarely been explored in finance so let’s take a look! The Circadian Rhythm. The Circadian Rhythm directly affects productivity. Human beings, like virtually all species (even bacteria), are encoded with a oscillatory “rhythm” of daily bodily functions. The rhythm regulates sleep schedule, hourly chemical levels, brain way activity, and other metabolic processes, and it is controlled by external cues (light) hitting the retina and producing a chemical change in the SCN (part of the hypothalamus) involving melatonin. Animals with damaged circadian rhythms struggle to function, and oftentimes, are unable to survive at all. In terms of economic productivity, the Circadian Rhythm is a major player. This site has shown that hormone levels can affect performance here and here. Depending on the time of day, hormones will be at different levels and people will function accordingly. It is possible that at time when testosterone or cortisol levels are higher (based on the the Circadian Rhythm), people may take greater risks and act as we discussed. The studies simply have not been done (yet!). Furthermore, businesses with nighttime shifts are affected. Night workers do not produce at the same level if their light-dark cycle is not “re-entrained”; some daytime sleep is not enough for these workers. This would affect businesses to different degrees. For example, a trading firm that depended on night time trading would do best to follow a re-entrainment schedule for its employees. It’s clear that the Circadian Rhythm affects economic productivity, but I’m curious how it affects finance. How are traders affected by this rhythm in terms of their daily productivity? Furthermore, how are the various exchanges affected? I would venture a guess that the effect is minimal but not unsubstantial. In Wall Street, that could mean the difference is $$ BILLIONS $$. The function of cortisol is simple: it’s the body’s ultimate tool in response to stress. Cortisol breaks down fat reserves into glucose for quick energy and limits the body’s immune response. It also stimulates the formulation of short-term “flash bulb” memories. It’s an efficient tool but long term cortisol production can be disastrous. It leads to panic, fatigue, loss of memory, and complete helplessness. Additionally, cortisol acts as a key ingredient in interpersonal relationships and emotional well being; its presence spikes in response to separation. So how is this relevant to business, risk management and the market? In several ways. It’s relevant on both a personal level in leadership (whether personal decisions or financial), risk preference, business deals, investment, etc., and on a macro level in bear markets, economic crashes, financial bailouts, etc. Cortisol levels in traders have been shown to be directly proportional to rises in market volatility. Furthermore, the negative, long term signs of cortisol elevation (learned helplessness, panic) are the hallmark of bear market psychosis. 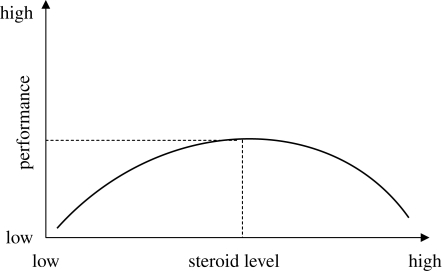 Inverted U-shaped dose–response curve relating cortisol levels to cognitive function, such as performance, on a spatial navigation or declarative memory task. 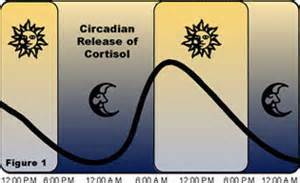 Additionally, cortisol is directly influenced by the Circadian Rhythm aka “the light-dark sleep cycle.” The release of cortisol is affected by a process involving light and the retina, and a part of the hypothalamus in the brain called the “SCN” (Superchiasmatic nuclei), which directly controls the circadian rhythms in humans. There’s so much information on cortisol and its effect on finance and each topic really deserves its own post. Stay tuned! A study from 2008 explores the impact of endogenous steroids on financial decisions of stock options traders in London. 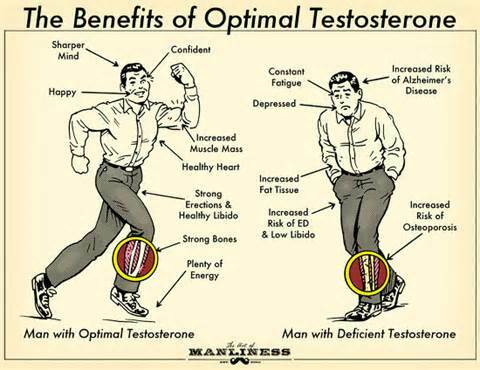 Looks like those high testosterone jocks are winners, scientifically. This doesn’t say that testosterone rises with profit margins. It says higher testosterone measurements before the trading events even occur actually predict a greater profit margin later in the day. The conclusion is that higher testosterone (individually…we’re comparing individuals’ level of test. against themselves; no inter-personal data) leads to better profits. So testosterone is actually quite good. And interestingly, testosterone has a cascading effect, winning begets winning. Winning in of itself leads to a a surge of testosterone, which then continues the positive feedback loop. So then high testosterone is good all the time, right? Wrong. Ahh and there’s the catch. 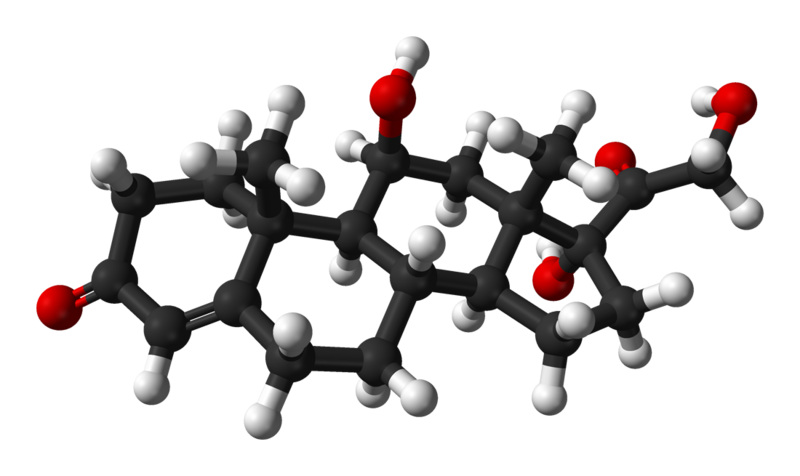 So testosterone can be good, but too much or too long and it becomes a negative. The paper then suggests that the “rational choice theory” we discussed yesterday may indeed be obsolete. So when you win, be careful. Because too much winning can make you addicted to the high, go crazy risk taking, and then lose. Neuro-Economics. A fascinating, burgeoning field of study that will ultimately change the understanding of human actions worldwide. Modern economics (and much of sociology and political science) works under the framework of “rational choice theory.” Economic models are built on the assumption that humans balance costs against benefits and arrive at a conclusion (leading to an action) that maximizes personal advantage. Ideally, humans make decisions based on utility maximizing analysis, the same way a computer would analyze different options and select the utility maximizing action. But there’s a major flaw to this theory. The human brain DOES NOT make decisions the same way as a computer. The human brain is wired, based on millions of years of evolution, to feel hunger, attraction, excitement, etc. and to act on these feelings. Dopamine, oxytocin, serotonin are the players in this never-ending game of choice. Let’s look at a quick trip to the market. There are thousands of items to select and we make decisions based on hundreds of criteria. Hence, there are literally billions of different options. If a comparison of every two products takes .5 seconds for a computer, it would still take thousands of years for a computer to simply process the equation and come up with the utility maximizing bundles. Yet our brain *feels* and makes the decision in a split second. Damn son!! This same process holds true for investment, friendship, attraction, etc. Chemicals suggest we act certain ways. Higher level awareness and morality play a role too. In this blog, I will be bringing you the most up-to-date in Neuroeconomics. I will include abstracts, articles, videos, and anything that may help you (and society) understand a bit more about our actions. If you’re as smart as I know you are, you may want to take the research and its conclusions and apply it to your own life. It’s science, after all!